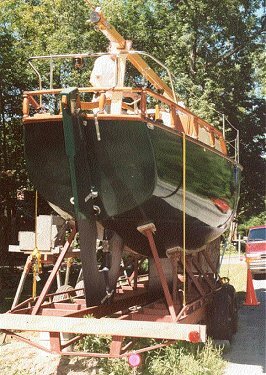 September 3, 2002: The boat was launched! 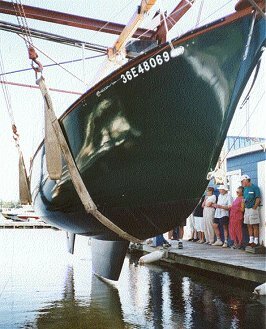 September 4 - mast raised and standing rigging installed. 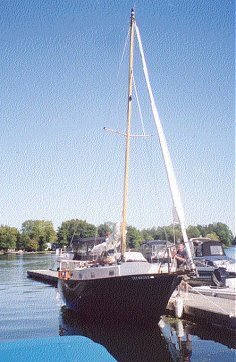 September 5 -sails and running rigging installed - we then took her out for a short sail. 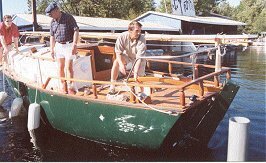 Her traditional appearance - taffrail, bowsprit and teak-veneered decks draw a lot of positive comments. 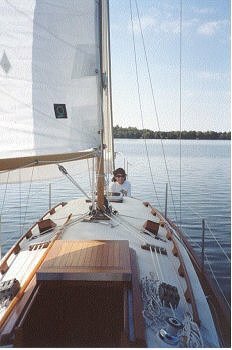 In the conditions in which she has been sailed (to about force 5) - she seems extremely well balanced - a very light hand on the tiller is all that is needed.